Congratulations on your purchase of the Miniplane Moster Paramotor - The powerful paramotor for heavier pilots and tandem operations! To the left, you will find our navigation to the Miniplane Moster Assembly Instructions, separated into specific steps to make it easier to follow. You are welcome to give us a call if there are any questions. Included with your Miniplane Moster is the Moster engine Manual. If none was included, you can view it HERE. Please check that the one you are looking at is the most current, sometimes ones that are included with the unit is an older version (printed). The above link is to the most current Manual. Our best recommendation is to assemble your new Miniplane Moster Paramotor with your trusted Dealer/Instructor. They will be familiar with how this machine goes together, and will give you lots of great tips and tricks for assembling, starting and maintaining your machine. If you are in the Santa Barbara area, we would be happy to meet with you and help you assemble your new Miniplane Moster Paramotor. Assemble your new Miniplane Moster Paramotor with your trusted Dealer/Instructor. They will be familiar with how this machine goes together, and will give you lots of great tips and tricks for assembling, starting and maintaining your machine. 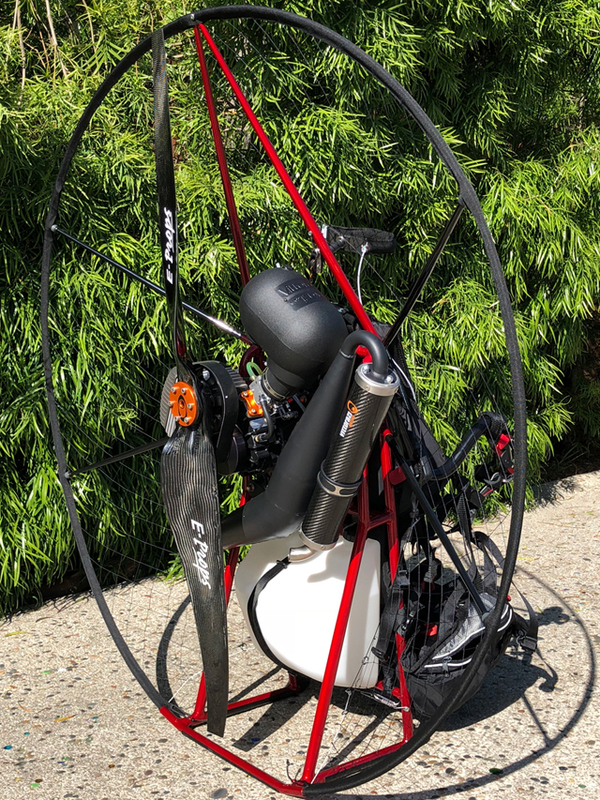 If you are in the Santa Barbara area, we would be happy to meet with you and help you assemble your new Miniplane Moster Paramotor if we are avail;able. Caution: Assembling the motor on your own may void your warranty! As for fuel, Vittorazi recommends the use of 95 octane unleaded fuel mixed with a good 40:1 fully synthetic 2-stroke oil (Motul 710 recommended). Break-In uses a different ratio during the first 15 liters of fuel; please refer to the Break-In procedures. Failure to mix the proper Synthetic Oil with your fuel even once at the proper ratio may cause your engine to seize and void the warranty of your machine! New engines generate a lot more heat and this is what can cause them to seize unless they are carefully broken in. Follow the Break-in Instructions carefully, these are also shown in the User Manual. Your new Miniplane Moster Paramotor has a schedule of regular maintenance that needs to be done as early as 10 hours of run time. Most things are easy and quick, such as to re-torque the head and check belt tension. Please refer to the Moster Manual for these important service recommendations for your machine. We have found that a short piece of small bungee works great for making the starter handle very accessible - both on the ground and in the air, should a restart be necessary.